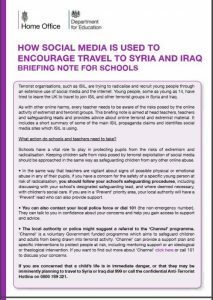 In light of recent tragic events we thought it appropriate to feature current government strategy, guidance, resources and media that support organisations in their statutory duty to safeguard children, young people and vulnerable adults from radicalisation and extremism. 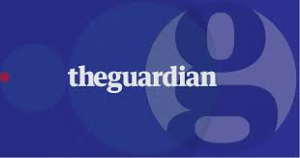 The Prevent Strategy is a statutory duty and is key to an organisation’s practice, policy and safeguarding arrangements. Links to Prevent, CONTEST and Channel documents are provided below. If you are in doubt about whether your organisation is fulfilling these duties please, contact us. 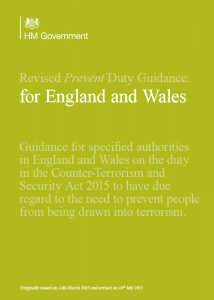 The Counter-Terrorism and Security Act 2015 contains a duty on specified authorities to have due regard to the need to prevent people from being drawn into terrorism. This is also known as the Prevent duty. 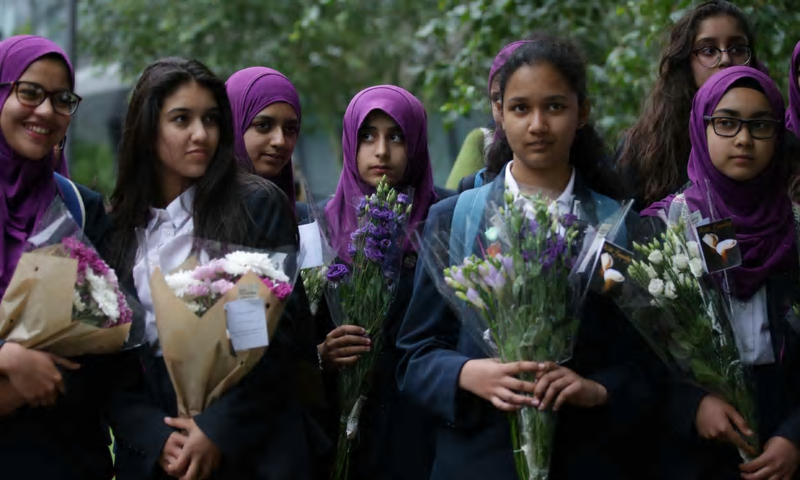 In March 2015, Parliament approved guidance issued under section 29 of the act about how specified authorities are to comply with the Prevent duty. 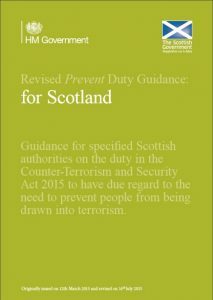 Specified authorities must have regard to this guidance when complying with the Prevent duty. Two versions of the guidance were approved: one for specified authorities in England and Wales, and one for specified authorities in Scotland. These 2 documents were revised in July 2015, removing the chapters on further and higher education institutions. This is because 4 new pieces of stand-alone, sector-specific guidance for these institutions were issued (see below). 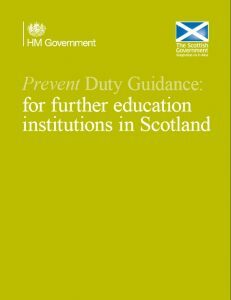 The 2 revised Prevent duty guidance documents are the first 2 on this page. 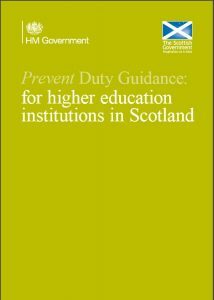 The remaining 4 documents, issued on 16 July 2015 under section 29 of the act, have been issued to provide guidance to higher and further education institutions subject to the duty. Following Parliament’s approval of the guidance documents, they came into effect on 18 September 2015. 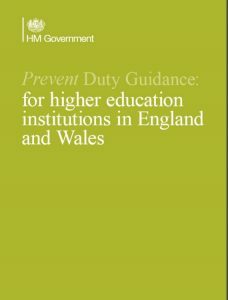 The duty commenced on 1 July 2015 for authorities specified in schedule 6 to the act, save in respect of specified authorities in the further and higher education sectors. The duty commenced for the latter authorities on 18 September 2015. 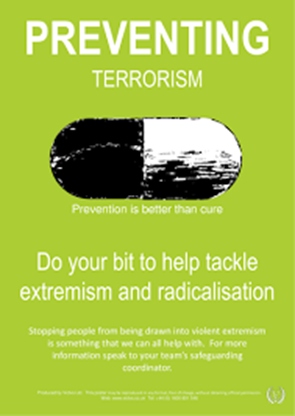 (source Home Office, Counter Terrorism 2016). For more information please click on links below. 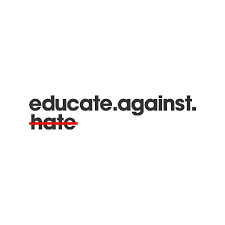 HM Government website educate.against.hate offers teachers, parents and school leaders advice and information about extremism and radicalisation. 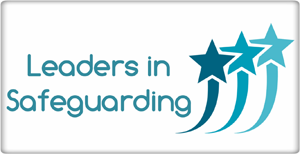 The site offers answers to questions and advises on protecting children. 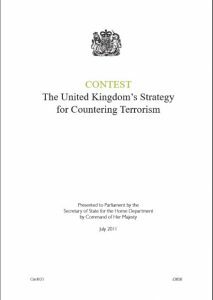 The government’s counter terrorism strategy is called CONTEST, you can find here the main documents that explain how the UK will react to terrorist threats or emergencies. 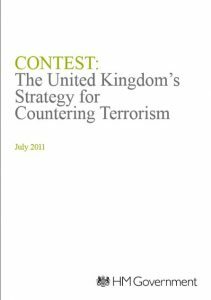 The UK’s Strategy for Countering Terrorism: CONTEST, is to reduce the risk to the UK and its interests overseas from terrorism, so that people can go about their lives freely and with confidence. 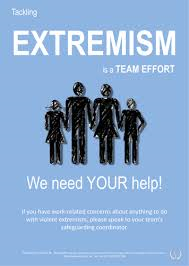 The scope of this revised CONTEST, strategy has been broadened to cover all forms of terrorism. 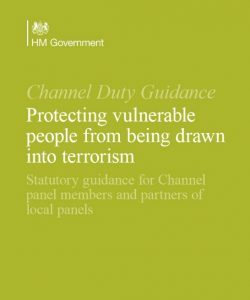 Sections 36 to 41 of the Counter-Terrorism and Security Act 2015 set out the duty on local authorities and partners of local panels to provide support for people vulnerable to being drawn into any form of terrorism. 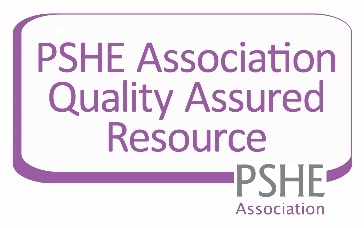 This guidance has been issued under sections 36(7) and 38(6) of the act to support panel members and partners of local panels. 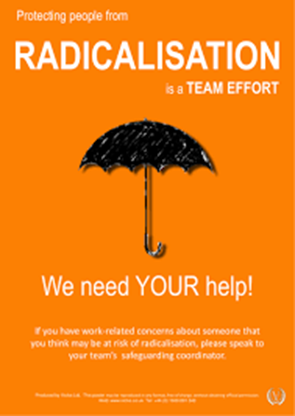 London attack: How are UK extremists radicalised? Can internet companies help combat radicalisation? We’re sure we’ve given you food for thought. 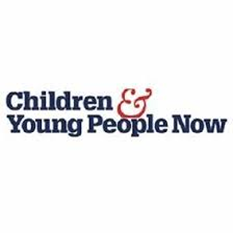 We hope you find the news and information update useful. Please contact us if you think we can help you further.